He reached Banston House just as the front door opened. He stepped to the side to allow whomever was exiting to leave. A woman in a gray dress stepped outside. "Oh!" She gasped, seeing him. "Mr. Keegan." He smiled. "Lady Windham." Her pale redhead's skin was flushed in the cheeks. "Were you calling on Lady Banston?" "I'm afraid I've been in the way here for hours," she replied. "Laura is still playing with the children. I'll return to retrieve her, I promise." "I hope they're all behaving," Miles said, eyes trailing up to the windows on the next level for a second. At least the house looked intact. "I cannot promise that," Lady Windham replied in a similar dry tone. He'd always liked Lady Windham simply for her sense of humor, nearly as sardonic and dry as his own. "Alexandra and Madeline have both grown so tall!" "Taller, certainly. They grow like weeds. It's all I can do to keep them shod and clothed." Her smile grew. "Oh, poor you. They'll beggar you by their growing. I've only the one growing girl, but two of an age?" She shook her head. "Oh, goodness, the carriage is waiting. I suppose I shall see you later, Mr. Keegan." He bowed his head as Lady Windham stepped onto the pavement and then up the two steps into the waiting carriage. They were small, regular movements—one foot in front of the other, working in tandem on steps—but there had always been an extrordinary energy to Lady Windham's movements. She walked quickly, especially on the country lanes in Bannersley. He'd seen her throw a ball once when the children were outside playing and had danced with her a few times. Lady Windham was never clumsy, but she moved with activity. With purpose. With reigned-in energy. Two bunnies turn into 20 quick. LOL! Miles! ^_^ Love that chemistry they have going on! And I love how he checks on the house from the outside like that. Haha. 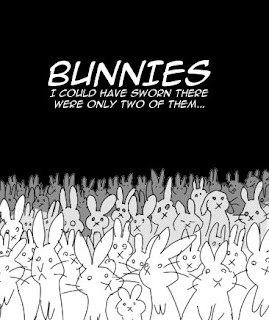 Two bunnies have now turned into at least a year of research for one idea and a four-series idea for the other one. Oy. Miles is slightly less broody this time around, which is nice lol. I'm glad you think they have chemistry! YAY! !